You might have noticed that I haven’t been partucurlay active on marcomc.com in the last two years. Do not worry! MarcoMC.com is nod dead. 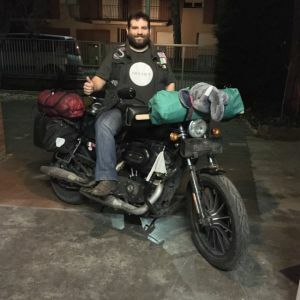 I have recently left the United Kingdom on my Harley and I have started this amasing adventure called The Journey Of Dreams.org which will help me to make come true the most of my lifetime dreams and help other to achieve the same. So if you find me around the world please give me your support. There you will be able to get updates about what’s happening in my life. Do not despear because I will keep posting every now and then in here, but mainly it will be about technical stuff. When I will have some unique pieces of tech that I’ll like to share, it will be posted here: I have in the queue a few ideas that involve Motorcycles, GPS & RaspberryPI and a few more. Stay tuned! You are currently browsing the MarcoMC blog archives for February, 2015.